Python has a built-in string class named "str" with many useful features. String literals can be enclosed by either single or double, although single quotes are more commonly used. Backslash escapes work the usual way within both single and double quoted literals -- e.g. \n \' \". A double quoted string literal can contain single quotes without any fuss (e.g. "I wouldn't be a painter") and likewise single quoted string can contain double quotes. A string literal can span multiple lines, use triple quotes to start and end them. You can use single quotes too, but there must be a backslash \ at the end of each line to escape the newline. >>> s = "Python string"
>>> s = "A Poor Woman's Journey." >>> s = "I read the article, 'A Poor Woman's Journey.'" dir "c:\&temp\*.sas" /o:n /b > "c:\&tempbc.txt"
Python tutorial and exercises ..."""
Characters in a string can be accessed using the standard [ ] syntax, and like Java and C++, Python uses zero-based indexing, so if str is 'hello' str is 'l'. If the index is out of bounds for the string, Python raises an error. 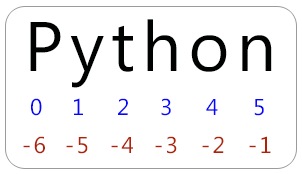 >>> a = "Python string"
The above statement selects character at position number 2 from a and assigns it to b. The expression in brackets is called an index that indicates which character we are interested. The index is an offset from the beginning of the string, and the offset of the first letter is zero. The value of the index has to be an integer. Index -1 gives the last character. Therefore we can not use [ ] operator on the left side of an assignment. We can create a new string that is a variation of the original. # Concatenates a new first letter on to a slice of greeting. # It has no effect on the original string. The '+' operator is used to concatenate two strings. >>> a = "Python" + "String"
You can also use += to concatenate two strings. >>> b = "<" + a*3 + ">"
A lot of computations involve processing a string character by character at a time. They start at the beginning, select each character, in turn, do something to it, and continue until the end. This pattern of processing is called a traversal. Print entire string on one line using for loop. A segment of a string is called a slice. The "slice" syntax is used to get sub-parts of a string. The slice s[start:end] is the elements beginning at the start (p) and extending up to but not including end (q). The operator [p:q] returns the part of the string from the pth character to the qth character, including the first but excluding the last. If we omit the first index (before the colon), the slice starts at the beginning of the string. If the first index is greater than or equal to the second the result is an empty string, represented by two quotation marks. s[-3:] is 'hon' -- starting with the 3rd char from the end and extending to the end of the string. It takes a character and finds the index where that character appears in a string. If the character is not found, the function returns -1.